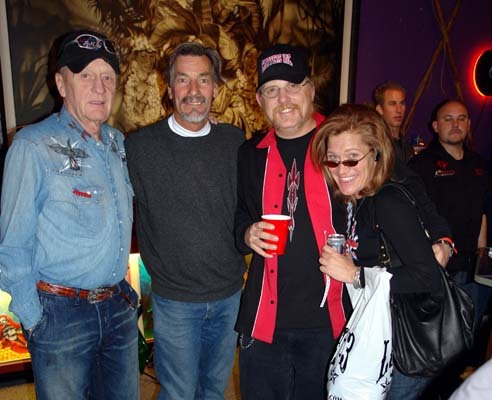 Bill Williams, and Sherri Candland of Aset, posing with me, and Frank Monnig. Yes you can blame Frank for all this. He is guy that started Coast back in the day. Heck I have been buying airbrush equipment from Frank for 20 years! 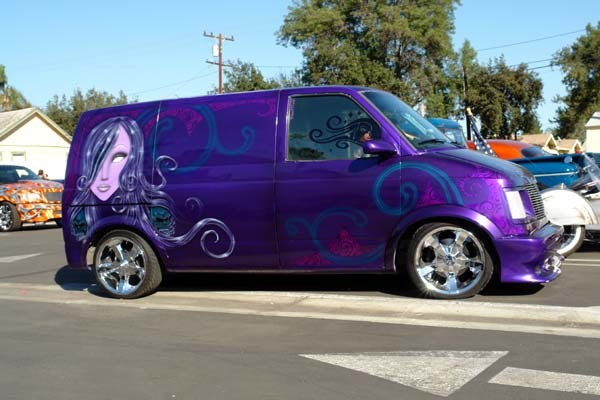 One of my former students, "Jewell" cruised her kustom van here, and was checking out the scene. 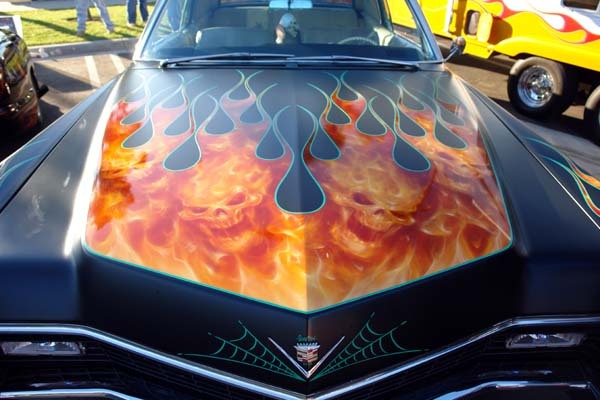 Keep an eye out for her in the kustom market,...she has got some skills. We'll just call this the fire corner of the show lot. Everything over here was flamed. 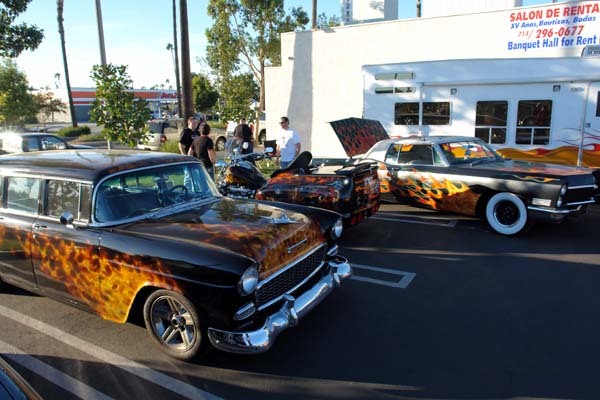 Whether you are a fan of the realistic fire, or you love the good ol' hot rod flames,...there was something here for you to gawk at. You gotta love a hybrid combining an old school rat rod flat paintjob, and tru-fire! 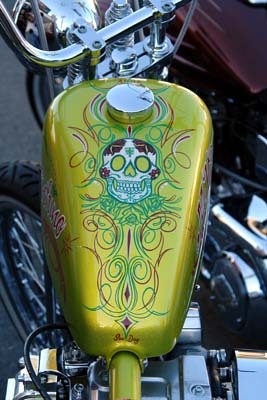 Another shot of the bandana bike from Sneaky Talent. 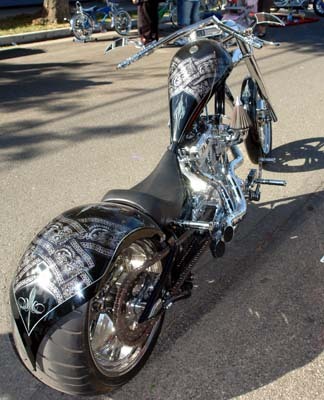 Check out the kewl hybrid pinstripe work on this chopper from Road Dawgs. It is like Von Dutch meets "Della de Morte. Very hip.